Lawrence Wright speaks at SMU Sept. 5. 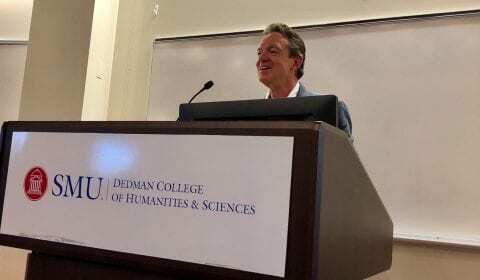 Pulitzer Prize-winning journalist Lawrence Wright visited SMU to discuss his latest book “God Save Texas: A Journey Into the Soul of the Lone Star State” at a program hosted by the Tower Center, Center for Presidential History and Clements Center for Southwest Studies Sept. 5. Wright opened his talk discussing the stereotypes of Texas. “Everybody in the world has an opinion of Texas– no matter where you go,” Wright said. Regardless of how people feel about Texas, it’s taking over the nation. Texas is growing at break-neck speed– twice as fast as the rest of the country. Texas is supposed to double in size by 2050, which would make it larger than present-day California and New York combined. Can you imagine a United States with 54 million Texans? Already, one out of every 10 students lives in Texas, which should be seen as a siren call for help as Texas continues to decline funding to its public schools. In the newest report card Texas schools rank 45th out of 50 in the nation. How did Texas transform from its historically rural roots into this powerhouse economy, the 10th largest in the world? Wright found this answer easily: oil. Texans struck it rich by pure luck, starting in 1901 when the first major oil well at Spindletop famously gushered 150 feet into the air. And then, when it seemed the world had reached peak oil in the late ’70s, Texas drove the fracking revolution that changed everything. After the first frack drill in 1981, fracking finally turned a profit in 1998, and by 2010 there were 14,000 fracking wells in the North Texas Barnett Shale alone. Though energy remains at the center of the Texas economy, the state has worked hard to diversify the economy. For example, Texas has already outpaced California in technology exports. Texas is even beginning to close the GDP gap between itself and California, with the Texas GDP at $1.6 trillion and California at $2.6 trillion, with a much larger population. For the last 30 years Texas politics have been dominated by GOP candidates, even though Texas has since become a minority-majority state. Wright claims this is largely because people who are young, poor, or poorly educated are the least likely to vote. Wright predicted the political landscape would shift when a candidate appealed to the Hispanic population enough to energize the community to the polls. Whether or not Beto O’Rourke will be this candidate is something to watch for in the 2018 midterms. 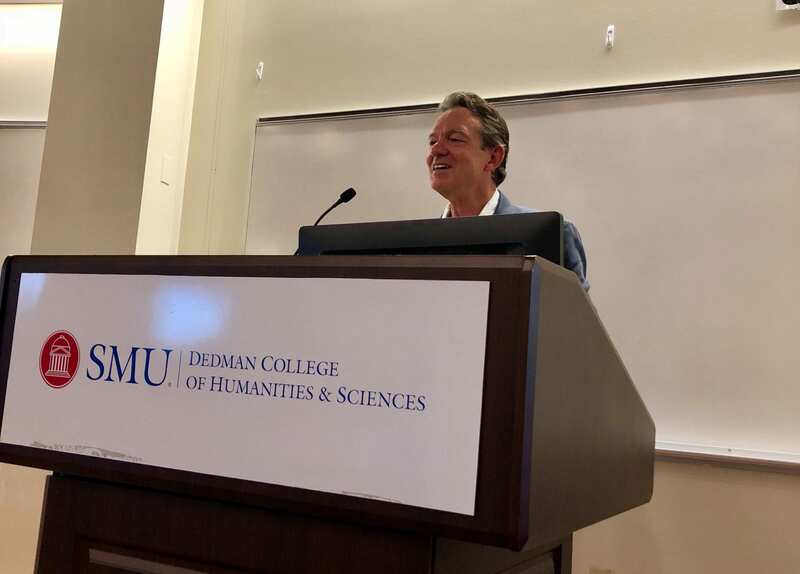 Wright ended his lecture emphasizing the importance of staying involved with local and state politics, especially given Texas’ out sized influence on the rest of the United States. “All of us who have an interest in the future needs to stay on top of these guys,” he said, referring to Texas state representatives.